Yay for stripes! 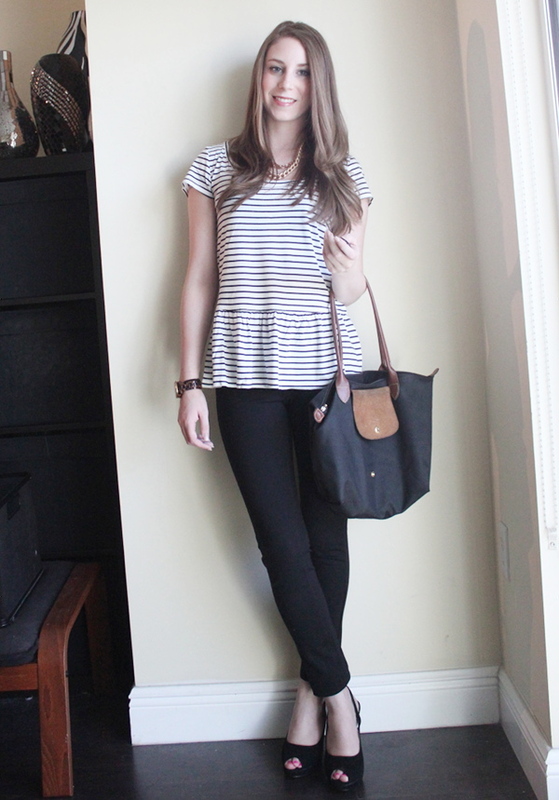 I love the subtlety of your peplum top as well :) Glad I found you through Style Elixir blog hop! I'd love to own a Mulberry some day! You should definitely get a Longchamp. They are so affordable, durable, and go with everything! 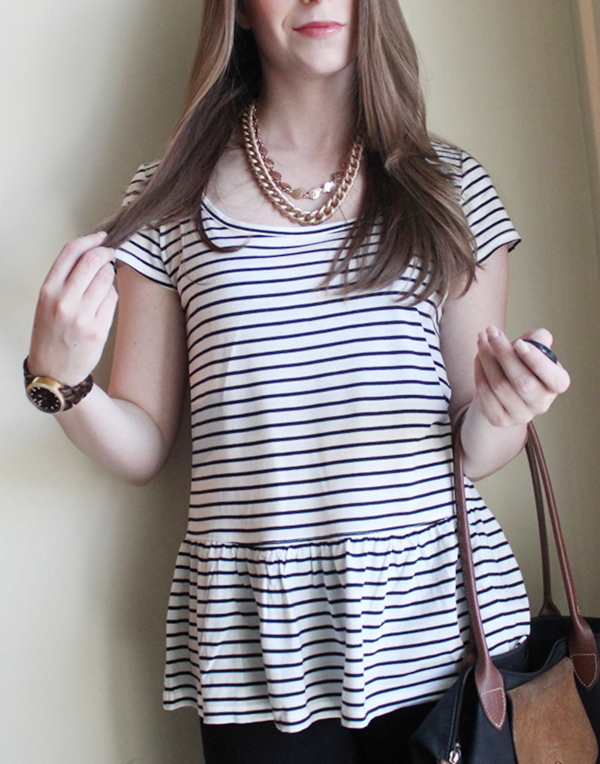 Love the peplum striped top! It looks so cute with the gold necklaces!